One of the things that makes Google Analytics so powerful is its ability to create segments of your data in a very quickly and easily. You’ve heard it before, aggregate data is meaningless to achieving your business objectives. To truly know how your inbound marketing is shaping up, you need to look at segments of data. To truly understand visitor behavior, you need to separate those visitors into meaningful groups. The Google Analytics team has now taken those groups to a micromanaging level that will make the most OCD marketer giddy. 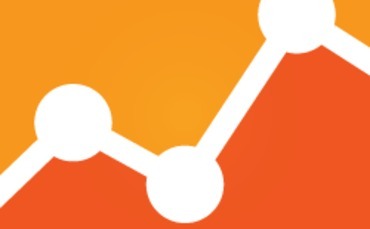 There are several new ways to filter your profiles, the Google Analytics has announced. These new filters let you look at your data so granularly, it’s geeky cool. If you’re targeting mobile, you can get very specific information regarding the type of device being used. For example, the Motorola XT875 is marketed with the name Droid Bionic. If you aren’t familiar with its features, you can now tell if the device is a phone, tablet, or other features it may have. While you may not necessarily need this level of granularity for your website, remember that Google Analytics can also be used for your mobile apps. With how varied Android devices are, this can sometimes be invaluable information for app creators. This change was only for filters, and doesn’t impact advanced segments, according to Google. Keep in mind, filters in Google Analytics are not the same as Advanced Segments. In a nutshell, filters work at the profile level. When a filter is in place, Google Analytics won’t even collect visitor data if it doesn’t match the filter. With advanced segments, the data is included or excluded after collection, at the report level. Other filters introduced include ways to filter social networks, content and user settings. You can get the full list of how to use each filter in the Google Analytics documentation.